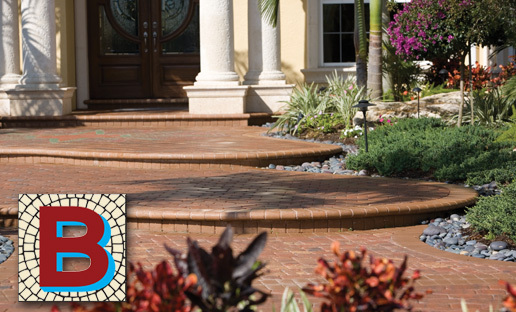 Welcome to the home of Butler Pavers, the leading hardscape installation company serving Southwest Florida. With decades of experience and hundreds of superior products, Butler Pavers is the top choice for all aesthetic paver, brick, block and stone installations. We work with new construction and existing residences, in both the commercial and residential sectors. No job is too big, too small, too simple or too creative for our team of expert designers and technicians. Anyone can throw down pavers or bricks, but it takes good materials and a knowledgeable installer to ensure the longevity of the finished product. The state of Florida has the largest rate of failure for paver installations in the world… so if you want to buck this trend and guarantee that your walkway or pool deck will last for years, try Butler Pavers. Take a few minutes to browse our website and see how Butler Pavers etches quality into every job. If you have any questions, or want a free estimate, please contact our office and we will help you add elegance and beauty to your home.